VERY SPACIOUS (100 M2), CHARMING AND RECENTLY RENOVATED UNFURNISHED THREE (!) BEDROOM APARTEMENT IN A QUIET STREET OF THE VERY CENTRALLY LOCATED "BEZUIDENHOUT" AREA. 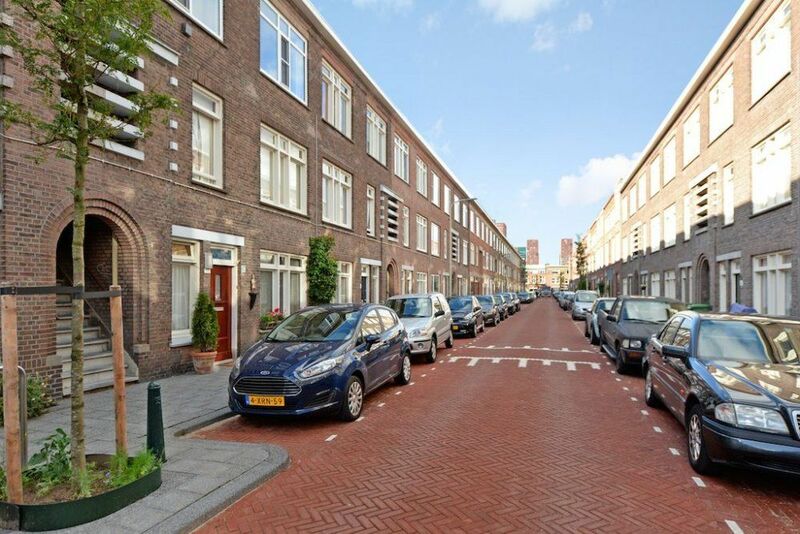 A PERFECT LOCACTION VERY CLOSE TO SHOPS AT THERESIASTRAAT, VARIOUS PUBLIC TRANSPORT, BRITISH SCHOOL, THE HAGUE FOREST, CITY CENTER, CENTRAL STATION AND HIGHWAYS! Outside stairs to entrance on 1st floor. Front door. Staircase to the second floor. Hall, very charming and spacious living-/dining room with wooden floor, high ceiling and beautiful kitchen with all apliances one could need such like fridge, freezer, dishwasher, microwave/ oven combination, gas hob and extractor fan. The master bedroom is located on the front with large build in wardrobe. The good size bathroom has a walk-in shower, wash basin with lots of storage space and washing machine. Separate toilet with sink. In the rear of the apartment are another 2 bedrooms located with direct access to the balcony. A PERFECT ATTRACTIVE AND VERY SPACIOUS APARTMENT READY TO MOVE IN!